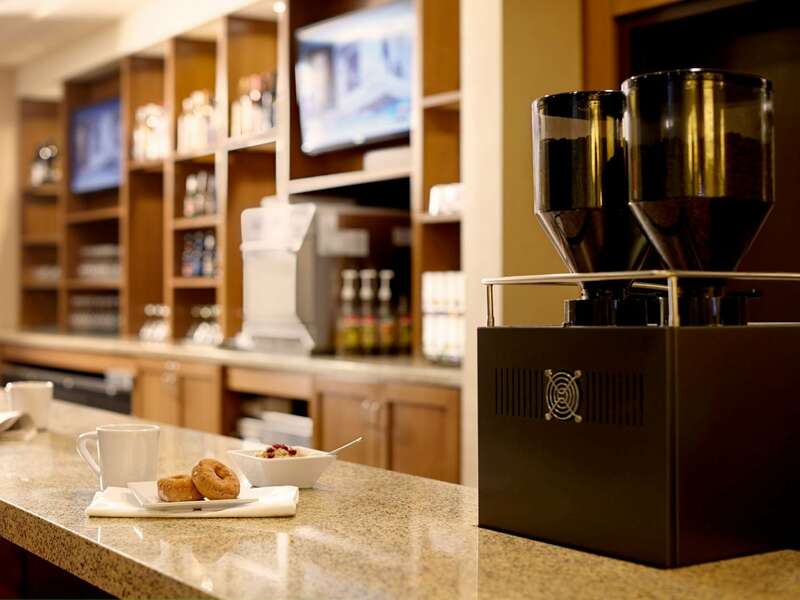 From breakfast to bar bites and coffee to cocktails, you can eat and drink on your time when you stay at Hyatt Place. Wake up to breakfast served fresh every day. Start your morning with cage-free eggs, steel-cut oatmeal, whole fruit, all-natural bacon and sausage, Greek yogurt, and lots more. Pair your breakfast with coffee, milk, juice, or tea. 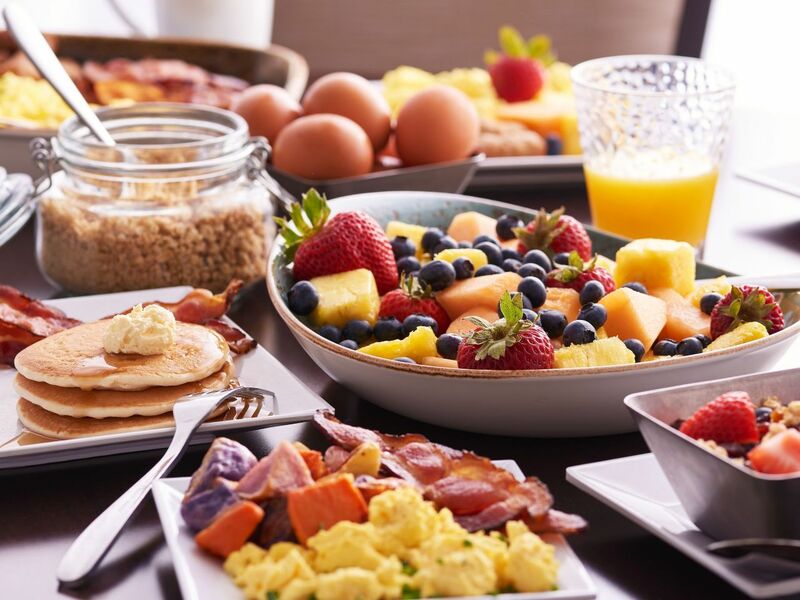 Breakfast is free with your World of Hyatt membership when you book an eligible rate at this Hyatt Place hotel. Not a member? 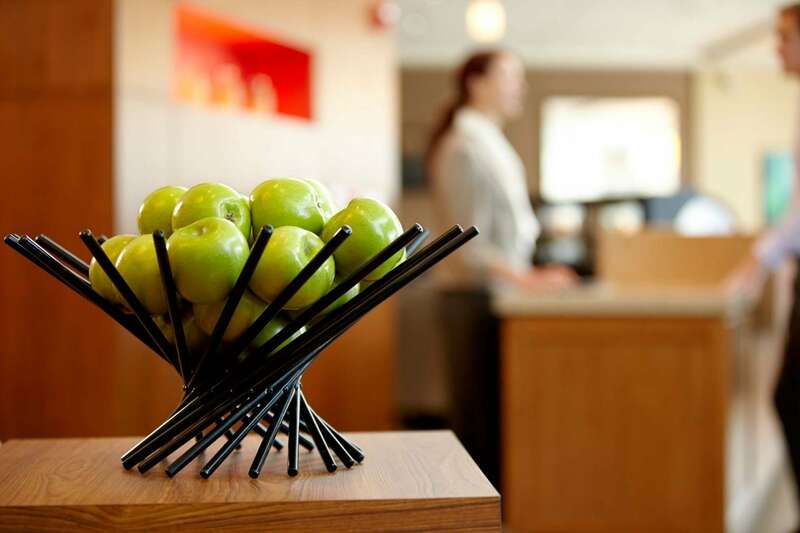 Join as you book to enjoy free breakfast starting with your first stay. 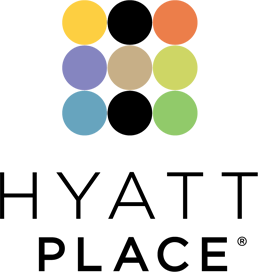 Eligible rates are defined in the World of Hyatt program terms. Saturday & Sunday: 7:00–10:00 a.m.
*Breakfast may start earlier or end later. Please check with the Gallery Host for specific hours. 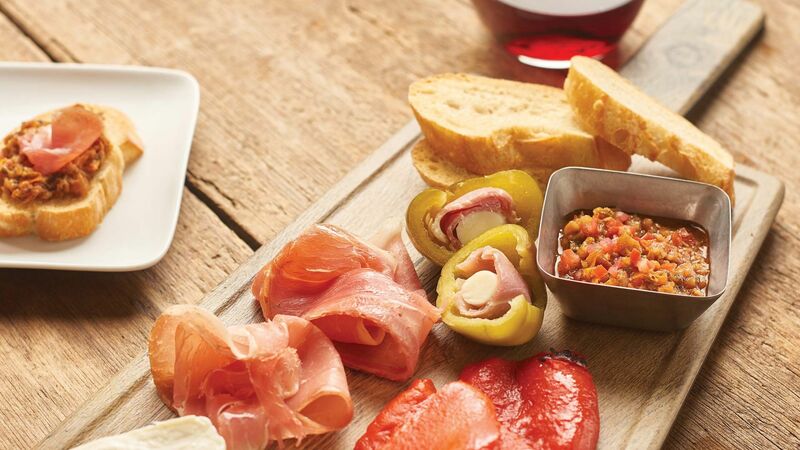 With our 24/7 Gallery Menu, dig into freshly prepared bar bites and shareables, featuring premium ingredients paired with antibiotic-free chicken or grass-fed beef. Visit the 24/7 Gallery Market for grab-and-go salads, snacks, and bottled beverages. Start your day off right with a caffeine pick-me-up, and wind down the day with a craft cocktail of your choice. Read the paper, chat with friends, or watch the news in our comfortable lounge seating.